If you do not have a Will then the distribution of your estate is governed by the laws of intestacy. This could mean that your spouse does not inherit everything you own and if you are in a partnership then your partner may receive nothing at all. If you have children under the ages of 18 then their future care could be decided by the Local Authority and Social Services. Your assets could end up in the wrong hands. The benefit of having a Will means that you appoint an executor who is responsible for dealing with your estate and this means that there will not be any unnecessary delays or costs in someone having to apply to the courts to take on this function. You ensure that your assets are distributed to the correct people. 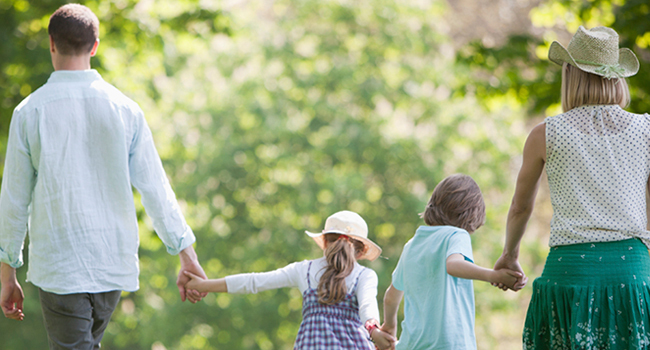 If you have minor children you appoint guardians to look after their future wellbeing. You can mitigate potential tax liability. Even if you already have a Will this can often become out of date and should, therefore be reviewed on a regular basis. A Living Will is basically an instruction that you leave to your relatives and the medical profession that if you reach the situation where you are terminally ill then you are saying that you do not wish your life prolonged artificially by further medication or treatment. The Living Will is registered with your local GP practice. It is important to have current up to date Wills and it is also important that the original Will document can be located in the event of death. We recommend keeping important documents in a safe and secure location and can arrange this with National Will Safe Ltd.
More and more people are taking out Funeral Plans which enables them to fix the cost of a funeral at today’s rates and ensure that this liability does not fall on surviving relatives. We offer a range of plans and options to suite your particular circumstances. LPA for Property and Family Affairs. LPA for Health and Welfare. The LPAs cover the situation if you lose mental capacity and are therefore unable to deal with your own affairs. This could be as a result of a serious accident, a stroke or the onset of dementia/Alzheimer’s. They enable you to appoint people whom you trust to look after your affairs if you do lose mental capacity. The Property and Financial Affairs version allows your attorney to make a decision regarding bank accounts, savings, investments and property. The Health and Welfare version allows your attorney to deal with social services and the medical profession regarding medical and health issues including treatment and medication. Not having a LPA in place would mean that in the event of you loosing mental capacity, somebody would have to apply to the Court of Protection to be able to look after your affairs. This process could take up to 12 months and cost thousands of pounds. Recent changes to legislation mean that it is more important than ever to consider the potential costs associated with going into care, particularly as some 30% of the population will go through the process. Careful planning can help mitigate the potential costs involved with this complex area. Good Estate Planning can help mitigate potentially large Inheritance Tax Liabilities when you die. Each person is allowed a Nil Rate Band which is currently set at £325,000 which is the amount they can gift without paying IHT - this would include the assets passed under your Will and potentially also previous gifts made in your lifetime. Gifts between spouses or civil partners are exempt from IHT but if you are single or unmarried with a partner, then there could be issues particularly with the recent increase in the value of properties. Married couples with large estates should also seek advice. If you have a Life Policy in place, has it been placed in Trust? This means the proceeds could be paid to a nominated beneficiary rather than be added to the estate of the deceased and the proceeds can be paid out without having to wait for probate to be finalised. Asset Protection Trusts – these are designed to protect your assets (mainly your property) from possible future claims and threats and at the same time can reduce probate costs. This is a flexible trust where you are one of the trustees and it enables you to move assets in and out of the trust. The trust is designed to ensure that your assets are available for use by your nominated beneficiaries and protects against possible Sideways Disinheritance, Irresponsible Children, Children involved in divorce and Children with incapacities. It is also helpful in planning for future potentail Care Costs. Please note that we do not appoint ourselves as executors of an estate for any Wills we arrange.